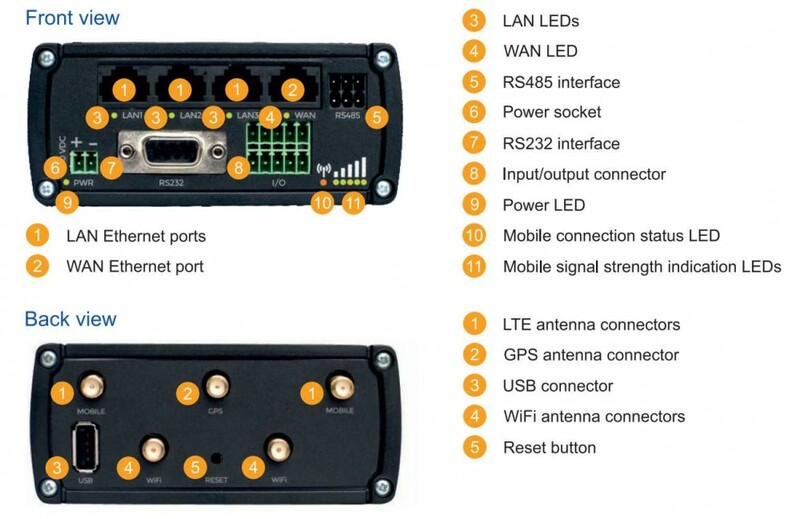 RUT955 is a functional LTE solution with I/O, GNSS and RS232/RS485 for professional applications. The product combines advanced options with easy controls. The device is equipped dual SIM functionality. 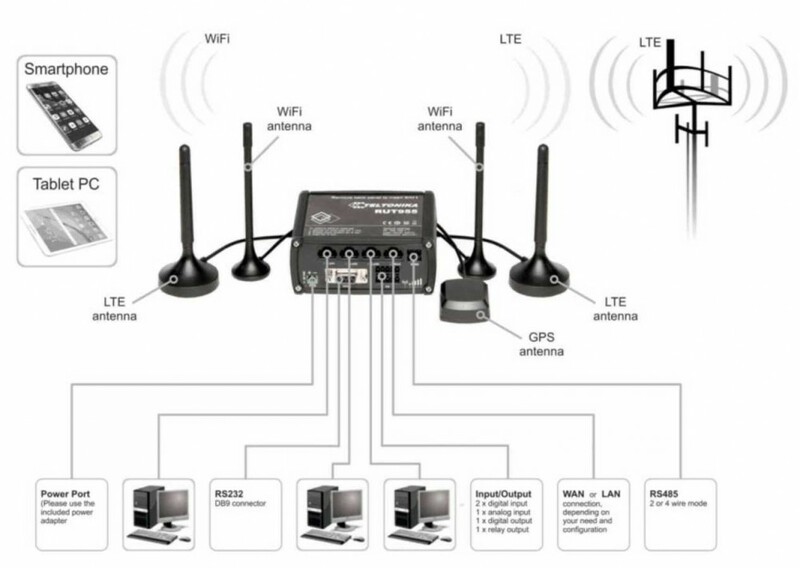 Thanks to the external antenna ports, you can quickly find the best signal. 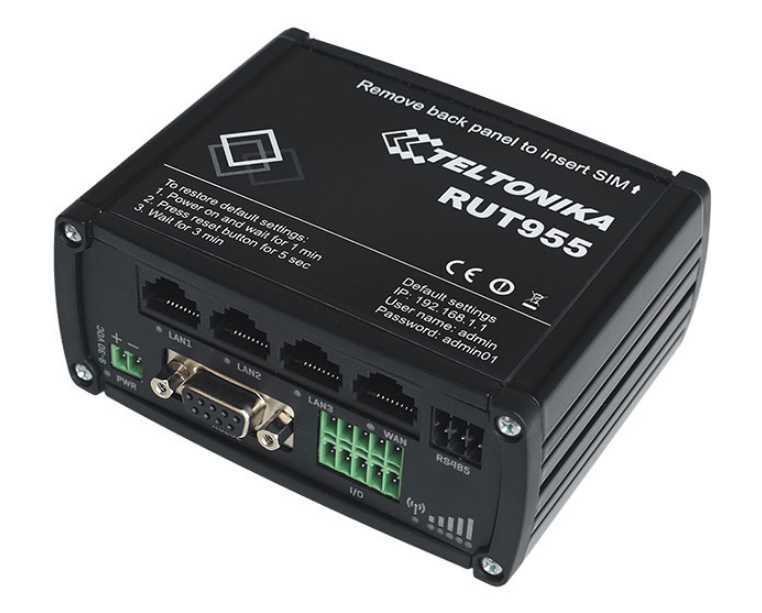 Teltonika RUT955 can be used in various environments. It can be used in both small and medium-sized companies, as well as in larger corporations. It is a great fit for companies dealing in transportation, oil and gas, energy, banking and services. Learn about the most important features! See the short instruction manual! See the detailed instruction manual!